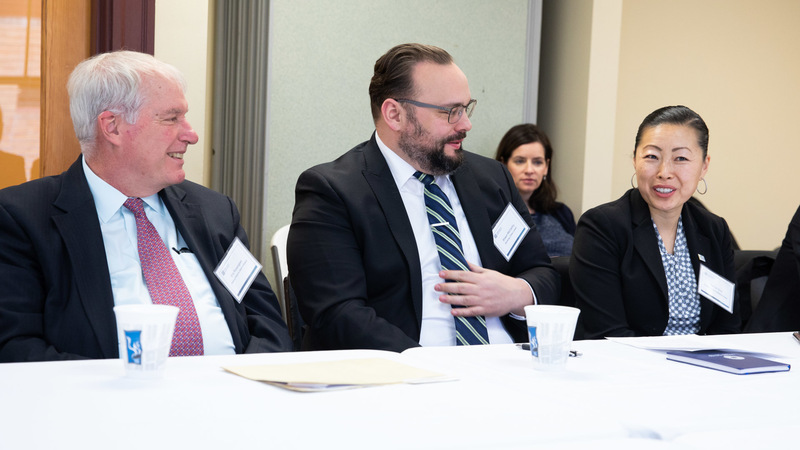 Federal Reserve Bank of Boston President Eric Rosengren led a delegation of fellow Fed presidents to Lowell, Mass., on Wednesday to get an up-close look at the Working Cities Challenge community development initiative. 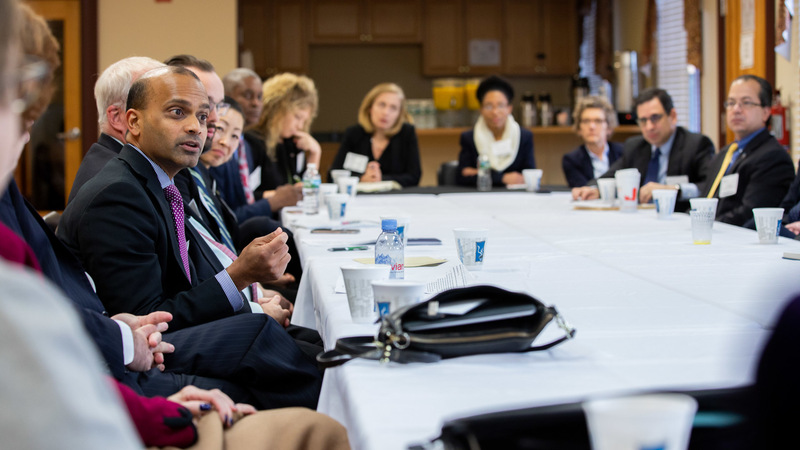 The program is designed to lead cities through a rigorous process that builds cross-sector collaboration to solve problems that impact lower-income residents. 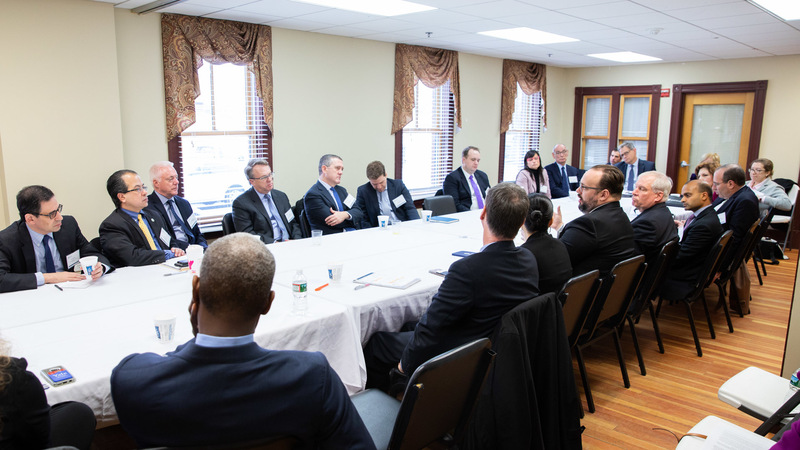 The presidents toured and met with community leaders in the Acre Neighborhood in Lowell, one of 16 small cities in Massachusetts, Connecticut, and Rhode Island that have won Working Cities Challenge competitive grants. The cities are one-time manufacturing centers working to adapt to a post-industrial economy. The Working Cities initiative focuses on collaboration between the public, private, nonprofit, and philanthropic sectors, particularly on the local level, in an effort to inspire new thinking and innovative solutions to persistent, large-scale problems, such as workforce development, poverty, and inclusion. 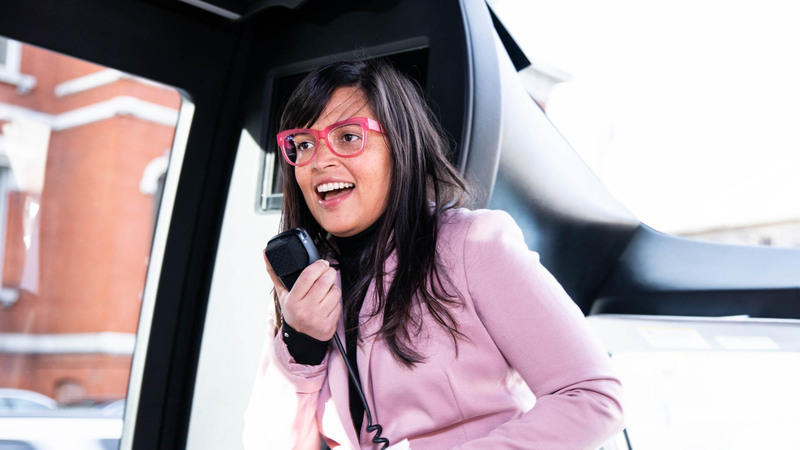 The three-year Working Cities grants are funded by a consortium of partners, including states, the private sector, and local and national philanthropic organizations. The Boston Fed administers the program and provides ongoing support for the cities. 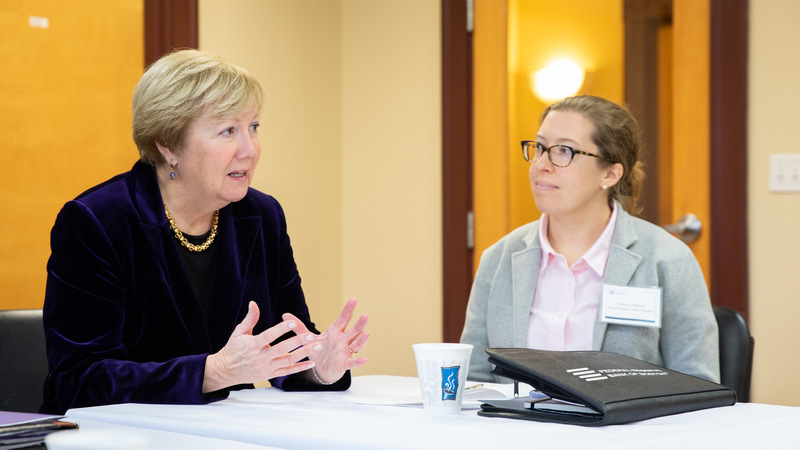 The Reserve Bank presidents were in Massachusetts for a meeting of the Conference of Presidents, a forum that addresses matters of strategic importance to the Federal Reserve System. 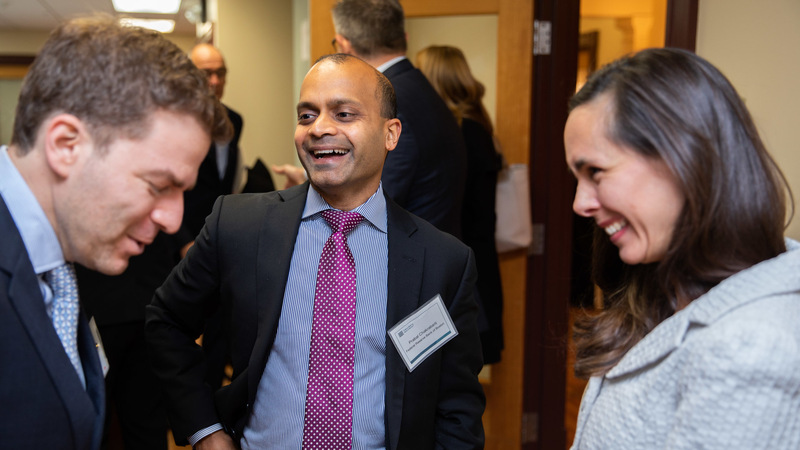 In addition to Fed officials, representatives from the Commonwealth of Massachusetts, the private sector, and a philanthropic foundation participated the Lowell visit. Ari Simon, vice president and chief program and strategy officer of The Kresge Foundation, emphasized that philanthropic organizations have been eager partners and confident investors in the Working Cities Challenge – pointing to the model’s reach into small- and mid-sized cities, its ability to elevate community-driven priorities, and the credibility, expertise, and convening power of the Reserve Banks in leading the process. He added that the approach taken by Working Cities teams – of identifying a shared challenge and bringing together a multi-sectoral group of community members to address it – is one that holds the potential of not just addressing discreet near-term issues, but also of building powerful civic capacity for the longer-term. Rosengren challenged the presidents to imagine communities in their districts that may not look like the one-time mill city of Lowell, but face similar socioeconomic obstacles. 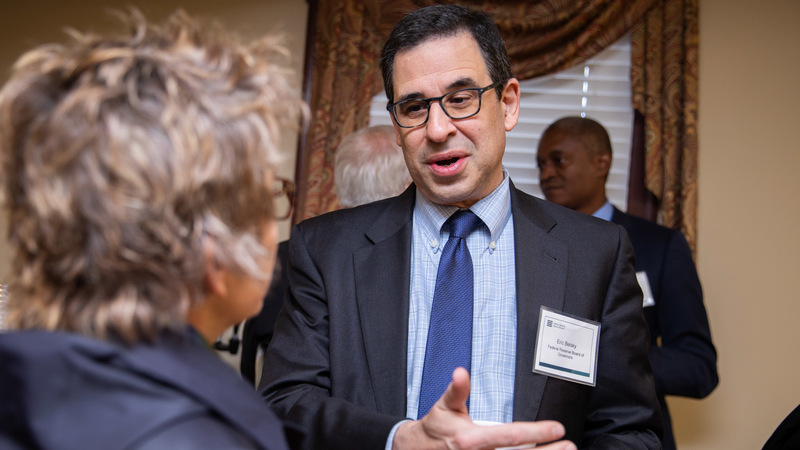 He said the same kind of private-public model employed by the Working Cities Challenge in New England is already being incorporated into public agencies and philanthropies’ own community development initiatives. The Lowell tour by the Conference of Presidents included a visit to the Coalition for a Better Acre offices, where the delegation was greeted by Lowell City Manager Eileen Donoghue and took part in a discussion with Working Cities Challenge Lowell leaders, local residents, nonprofit partners, and private sector representatives.